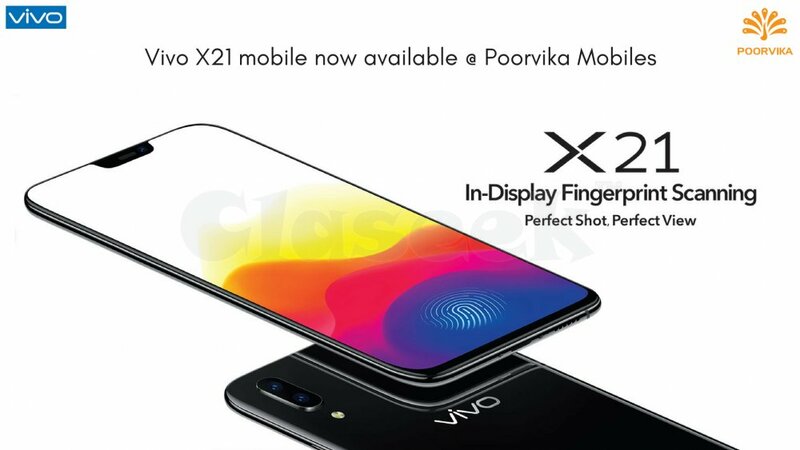 Vivo proudly presents Vivo X21 mobile, It is World's first In-Display Fingerprint Scanning is a new invention of the mobile industry. Vivo X21 mobile comes with extraordinary new features. Vivo mobiles are one of the leading mobile brands in the world. Poorvika Mobiles provides the best offers and deals for vivo mobiles in India. To Check Vivo Mobile Phones Price List in India.